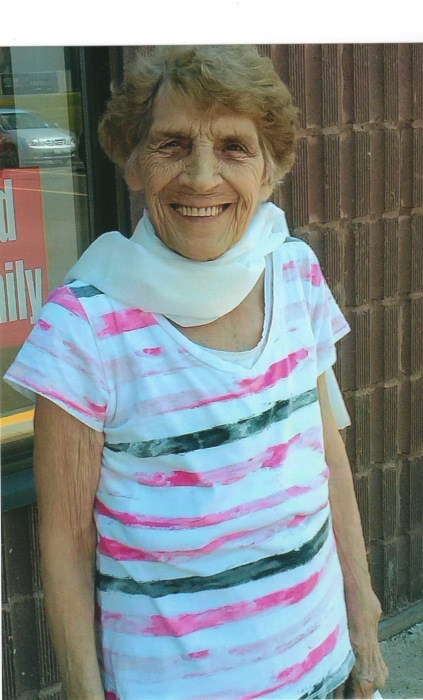 The death of Mary Joyce Legacy of Belledune occurred at home on Monday, April 8th, 2019, at the age of 85. Born in Jacquet River, she was the daughter of the late George and Lucy Daigle. Joyce is survived by fourteen of her seventeen children: Calvin, Jimmy, Donnie (Jeannie), Floyd (Tara), Lloyd, Isabel, Margaret (Michael), Randy, Peggy (Guy), Yvette (Jacques), Joanne (Hank), Jeannette (Kevin), Roger (Wendy) and Georgie (Nelda). She is also survived by her brothers Raymond and Ronnie, sisters Barb and Cecilia, daughter-in-law Laurna, as well as her 24 grandchildren and 16 great-grandchildren. She was predeceased by her husband Delphis Legacy, children Thereasa, Wayne and Ronnie, brothers Austin and Clifford, as well as her sisters Leona, Pearl and Pat. She loved all her children equally and will be sadly missed by them all. Love you, Mom. A graveside funeral for Mrs. Legacy will take place later in the year. Details to be announced at a later date. Funeral arrangements are in the care of MacMillan’s Funeral Home, Black Point.